Teeth Grinding or Bruxism is the involuntary grinding or clenching of the teeth. It can be exacerbated by high levels of anxiety or stress. Long term teeth grinding can cause damage to your teeth and can also cause teeth to become more sensitive to hot and cold foods and liquids. Teeth grinding tends to be a subconscious behaviour done mainly while you sleep. This is why it is often your dentist that will first see the wear on your teeth and inform you about your grinding. Other signs are sore facial muscles, morning headaches and neck and ear pain. 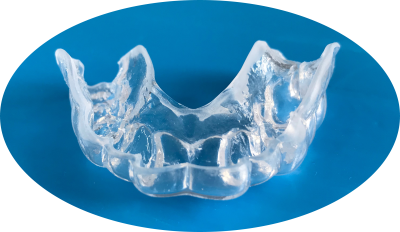 To treat teeth grinding and clenching we recommend a bite guard which is a protective mouth guard made of plastic. These guards are worn while sleeping, and prevent the forces generated during night time teeth grinding from doing damage to your teeth.